Soil microorganisms play important roles in regulating key forest ecosystem processes, such as nutrient cycling and decomposition of organic matter. Living vegetation and soil microbes interact in complex ways, but the C cycle is central to understanding these interactions. The presence of living trees influences the diversity and functioning of soil organisms by altering the supply of belowground C needed for microbial growth. Consequently, forest harvesting methods that allow retention of certain proportion of the living trees on a site should be more beneficial to soil quality than clearcutting, which removes all trees from the site. From a belowground perspective, the key issues are whether variations in tree retention density affect the soil’s ability to maintain microbial communities and processes at levels comparable to unharvested stands, and how far any effects extend beyond retention patches. 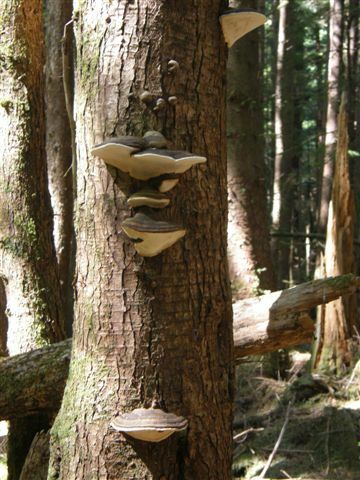 This educational resource provides students with multimedia web-based experience about effects of several types of forest harvesting at the Vancouver Island, BC on soil microbial groups and their functions as presented in the APBI 402 / SOIL 502 – Sustainable Soil Management course. Video footage and soil data were obtained in the Silviculture Treatments for Ecosystems Management (STEMS) long-term experiment located in the Sayward Forest west of Campbell River, BC. This educational resource was developed by a team of soil scientists, forest ecologists, graduate students, and multimedia specialists from the Virtual Soil Science Learning Resource group. This educational resource is intended to enhance teaching and learning by offering a virtual, active student learning experience that facilitates the integration of soil science research into undergraduate teaching while also increasing learner accessibility. Funding for this project was provided by the UBC’s Teaching and Learning Development Fund (2011).